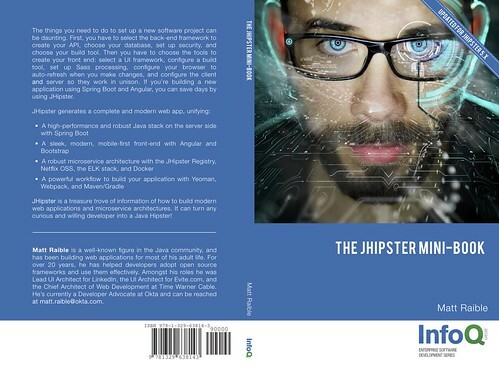 The JHipster Mini-Book v5.0 is now available as a free download from InfoQ. Get it while it's ! You can also buy a print copy from Lulu. You can read more about this release on the JHipster Mini-Book blog. Thanks to the InfoQ publishing team, Dennis Sharpe/Jeet Gajjar for tech editing, and Lawrence Nyveen for copy editing. And most of all, thank you Asciidoctor for making the publishing process so easy!